Esther has been lauded for her extraordinary ability to scan people’s minds, bodies and energy fields to identify the blocks depriving them of a fruitful life. People working with her have experienced an expansion of consciousness, and have found their lives to change and heal in a variety of ways. 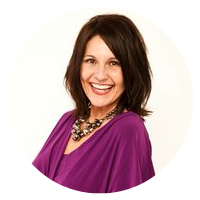 She applies the most cutting-edge healing technologies so that every personal session, group, or live event she co-creates with you will create change, a state of expansion and inspire. Not Interested in the Free Training?